Starting tonight through Sunday, you can bid to win a one-on-one 90-minute mentoring session with yours truly during WPPI in Vegas next month! 100% of the proceeds will benefit Thirst Relief whose mission is to overcome death and disease resulting from the consumption of contaminated water by providing safe, clean drinking water to those in need around the world. The mission of the Mentor Auction is twofold: to save lives and change the world by tapping into the incredible talent and generosity of the wedding industry, and to create better and more successful photographers. So, not only are lives being saved but the lives of many photographers are being made better! It's truly a win win for everyone involved! In three years time this annual mentoring auction has provided long term sustainable clean water solutions to 100,000 people for an average of $3.85 a person! My top winner will not only win the 90-minute mentoring session (to discuss anything you can dream up- shooting style, editing, workflow, branding, my super cute yellow lab- you name it! ), but also $500 towards tuition for the Roots Workshop this July in Cape Cod! Wow!! So don't delay. Set your alarm for 10p EST tonight, and keep checking that your bid is on top until the auction ends this Sunday, February 1st at midnight!! Don't delay! Click here and start bidding!! Thank you! 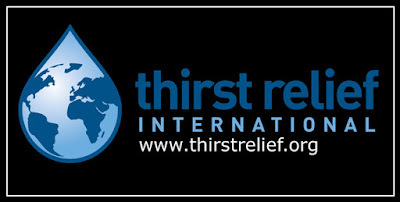 Learn more about Thirst Relief's efforts in the slideshow below. Earlier this week, I was fortunate to sneak away to visit one of my very first childhood friends, Rachel, in Providence. Rache (as I call her) and her husband Matt welcomed twins Julian and Eloise into the world a little more than three months ago. Although it was my intention to lend a hand, I couldn't help but bring my camera and take just a few pictures, too. This is Rachel. I'll never forget how lucky I was to grow up with a path through the woods connecting our houses and the zillions of memories we made as young friends then, continuing right through our adult life. When Rachel first told me she was pregnant, I was ecstatic but admittedly my heart sank a little that our children wouldn't have the same experiences we did seeing that a) I was not also pregnant and b) we no longer live close enough to one another to have a path through the woods. Regardless, I am quite confident we'll be friends for always no matter what the distance. This is cutie Julian (appropriately sporting his Maine-made Life is Good bib) and fantastic hubby & father Matt. There wasn't an opportunity for your typical side-by-side teeny weeny twin pics. We were busy! There was always something to hold, wash, feed, burp, pick up or put away. This is real life. Thankfully, Rache and Matt are very organized. They use a web application, Trixie Tracker, to document every feeding, diaper change and nap. It's genius. I don't know how parents could remember this with just one baby, let alone two. They can use their iPhone and iPod Touch to update each baby's status. One of the things that amazes me most is that Matt and Rachel have taken a photo of each twin since the day they were born (except for Day 4- they said it was out of focus) and post it on their blog, www.sparveys.com. It's a highlight in my day to see the latest, and watch them grow. Here's beautiful Eloise! I happened to be visiting on the twins 100th day! Cause for a special photo opp. :) Isn't Eloise's face just priceless (as if she's saying, "Come on, Dad, this is embarrassing!"). I opened up my camera bag and Matt tried out some of my favorite lenses. I showed Matt how natural light adds some drama and contrast to a photo (model Eloise nuzzled in a plush pink blankie from Auntie Em. Can you guess what color Julian has?!). In telling their story, I wanted to also include their beloved cats. Here, dear Fluster looks, well, flustered, a seemingly constant state since the babies have arrived. Babies are an adjustment for pets, too. The beauty of photojournalism is story-telling in a single image. I love how Rachel is nurturing baby Eloise and also petting the cat, and the added detail of the burp cloth dangling from her waist. Without ever seeing her face, you know she's a mom doing a great balancing act (ironically she's also balancing one foot on the ottoman). And a darn good one! And sometimes images speak their own caption! Each night after the babies have gone to sleep, Matt and Rachel edit their images from the day and update their blog. Supporting elements in a storytelling image can report time. And who says blurry photos aren't allowed? When done correctly, blur creates a welcome motion of action. Rachel and Matt, I am SO proud of you! Julian and Eloise are just perfect and you are both doing so well. I want to come back and see you again real soon. In the meantime, I'll be following your blog. Now, go sneak in a little shut eye! Hugs! 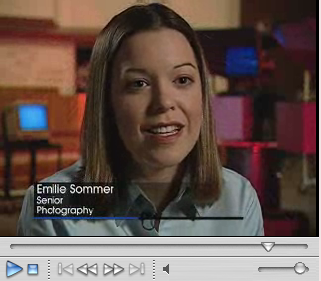 Just before college graduation in the spring of 2000, I was interviewed for a promotional video at Syracuse University for the Newhouse School of Communications. That fall, I was asked to submit some photos from my early career in DC to accompany my interview. I received another email just this week, nearly 9 years later, asking for more updated images as the current images from the 2000 election are clearly outdated now. I still hadn't seen this mysterious video... until now. Turns out, it's now on the Syracuse University website. Along with Newhouse alums Marv Albert, Bob Costas and Ted Koppel, I have a soundbite early in the video and my personal interview is at minute 9:12. I can't believe how young I am! To view this gem click here. Scroll down to the section of Schools and Colleges, you will see the Newhouse video link. Kate and Ray are a couple after our own hearts. They, too, planned a wedding in a short amount of time. They chose the elegant Retreat at French's Point as their location for their celebration. Not expecting too many people to travel to Maine in the winter for a Friday evening wedding in January, I think they were shocked to have 175 guests to witness their beautiful nuptials. Even tho it was -4 outside, there was plenty of warmth indoors. View the slideshow below or by opening in a separate window here. She started the day with some stretching and massage. Ray received a special note from his bride-to-be while getting ready. Kate's friend made her necklace and the bridesmaids', too. Kate's sisters pose for a picture while their other sister remembers a wedding day necessity! Thank goodness for static guard for cold January weddings! Kate and Ray really wanted to be married outside on the water. The sub-zero temps and biting wind pushed the I Do's inside. Love, love, love having two photographers for the alternate angle of everything, including the procession. Beautiful light during their vows. We scooted outside for some quick portraits. Could these two be any more adorable together? They met through a mutual friend. Ray asked Kate out for the first time by leaving a note on the windshield of her car. So sweet. I never shoot the old school groomsmen-picking-up-the-bride shots but these guys asked nicely. Beautiful sunset at the Retreat. First dance as Mr and Mrs. This little guest, Lyric, was the hit of the night on the dance floor. Just two and such a natural, perfectly content bopping to the music. The night ended with some yummy s'mores. Congratulations, Kate and Ray! What a day! We loved spending so much time with your families and embracing the love that wrapped us all in a constant big hug. As a side note, we checked out J Dostie the day after your wedding, and J purchased his band there, too! Thanks for the tip! Congratulations to Jess and & Nat for being featured in the 2009 issue of Seacoast Bride! Jess and Nat's beautiful Moraine Farm celebration in Beverly, MA, was a highlight of the season (blog post here and slideshow here). I am so inspired... to be a better person, a better boss, a better partner, a better daughter, a better sister. Welcome, President Obama. I am excited to support you and all your efforts. Yes we can!! I'm lucky to know many wonderful wedding planners & coordinators. Their personality and organizational skills are what can make or break the flow of a wedding. Cityside Events in Portland hosts events exclusively with a number of venues in the Portland area. One of their consultants, Kirby, is someone I look forward to working with. Her sweet, spirited approach is fun and welcome no matter what the circumstance. Kirby loves all aspects of the wedding planning process and especially appreciates the relationships formed with a bride and groom once all is said and done. She has a marketing degree from USM and has been with Cityside for two years. What you may not know about Kirby is her other love, dancing. Kirby has been dancing with the Maine State Ballet in Falmouth since she was four years old and dances 5 nights a week! They just wrapped their Nutcracker performances last month and are starting rehearsals for Cinderella this spring. I recently dropped in on Kirby at work and at dance class to give you a little peek at what she does best. And Bella, Cityside Events owner's (Jim Ciampi of the Jim Ciampi Band) sweet golden. On this particular day, Kirby was meeting with a bride and groom interested in The Landing, Cityside's newest venue in Scarborough. The Landing is currently undergoing a huge renovation and should be open this spring. Kirby pulled out the plans to show the couple. Kirby said January is a very busy month for prospective meetings, with recently engaged brides and grooms eager to make their wedding plans. In addition to helping choose a venue, Cityside also assists with selecting other vendors, linens and day-of coordination. Kelly Couture, behind Kirby, is the wedding events manager. After work, Kirby heads to class ditching her boots for ballet slippers. I love photographing dance. You may not believe it, but I, too, started taking classes when I was super young all the way through high school (ballet, tap and jazz). Photographing Kirby's class made me miss it a lot (and announce to J when I got home that this is where I'd like our daughter to go one day. We have no news to report, of course!). Kirby's dance instructor and company artistic director, Linda MacArthur Miele, was the youngest member accepted into the New York City Ballet Company at age 14. After years touring the world, she has settled in Maine. Thank you so much for this inside peek, Kirby! I am equally impressed with your coordinating skills as I am the ballet. Looking forward to working with you again soon! Have a great vacation to St. John next month!